It also let's you forget doing things like a weekly music update on Thursdays...so again, apologeeeze for the delayed update, here below is the reader Digest's condensed version....again. 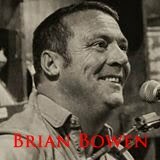 Sunday, Feb 28 - Low Country Boyle 2-6pm. Monday, Feb 29 - Chris Skene 6-8pm. Wednesday, Mar 2 - Open Mic hosted by Matt Gardi 6-8pm, Open Jam 8-9pm. Thursday, Mar 3 - Johnny Barbato 5-7pm, followed up by perhaps a local folks jam session. Friday, March 4 - Bo Spring Band 6-9:30pm. Saturday March 5 - Robert E 2-5pm, and Wakulla Rising 6-9:30pm. Look forward to Sunday, March 6.....Rick Ott 2-6pm. Now, go enjoy some OCBC beer on our patio and forget your cares, I will try and be more timely with more detail next week.